The late Steve Jobs said that innovation distinguishes between a leader and a follower. Meet the new technology leaders who are creating the future and demonstrating the power of SAP platform and technology solutions. ccessful with a total of 150 entries. Compelling examples of world-class innovation from 24 countries and across 26 Industries made for tough competition and the judging scores were incredibly close. Aesculap strives to improve safety and quality in each surgery worldwide and to simplify hospital processes. It has developed new business models by establishing a digital service platform, which provides mobile apps based on the SAP Cloud Platform to increase productivity and efficiency. The data collected using these apps will enable completely new possibilities for data analysis using SAP BusinessObjects Cloud. AMEC deployed the SAP HANA® platform to enable a real-time supply chain, with a solution that breaks down communication barriers between enterprises so that information can be shared and workflows can be coordinated in real time. The result for AMEC has been significant cost reduction, greatly improved efficiency and better quality management and control. Understanding patients’ adherence to medication was previously unavailable at Parkland Hospital, preventing effective patient care in some situations. They implemented the Proportion of Days Covered (PDC) method of calculating a medication adherence score across their patient population, primarily due to the ability of HANA to rapidly calculate a patient’s score across days and drug classes, while accounting for hospital stays, early refills, and changes between drugs with similar mechanisms. Vectus improves people’s lives by offering reliable and safe water storage tanks, pipes and fitting systems. With facilities spread across multiple locations, the company needed a consolidated digital core that would streamline operations and increase transparency for its business, distributors, and customers. To achieve its goal, Vectus has deployed SAP S/4HANA and extended its business processes with an intuitive mobile application that encourages people to get and stay in touch, improving communication across its value chain. As a startup, Karma Automotive had the vision of delivering a cloud-connected car where everyone involved had the data they needed to buy, build, inspect, track, ship, sell and drive the vehicle at their fingertips. By partnering with SAP, Karma has become a digital company faster, and in a smarter way than otherwise possible. Now Karma can use data for smart decisions from start to finish, leveraging intuitive user experiences and the power of the cloud. With the implementation of SAP® HANA and big data and data science tools, Sutter Health drove evidence-based decision making across the organization, improved patient referrals, lowered the cost of providing quality care, and has engaged with more patients in more meaningful ways. EOH Mthombo (Pty) Ltd. built the EPIC Emergency Management and Public Safety System; which is being used by the City of Cape Town, South Africa. EPIC is designed to create a single, common platform for collaboration, communication and coordination amongst public safety departments. T-System South Africa, in conjunction with Huawei and LOTS, has created an integrated digital platform to enhance efficiencies, improve capacity planning, and integrate logistics, helping companies such as Transnet National Ports Authority (TNPA) facilitate trade throughout the African continent. PlaceSpeak is using the SAP HANA Platform and SAP HANA Text Analysis to analyze and visualize large volumes of online civic engagement text data collected through public consultations conducted on its platform. The result is a new innovative capability called SentiMap, providing local government customers with powerful new insights about the opinions and preferences of different parts of the populations they serve. The Soblano platform enables Real-time Project Management in complex projects based on SAP HANA. By connecting scheduling and workforce management in one combined solution, enterprises across multiple industries get a unified project management solution to understand their projects’ performance in real time. Next View develops smart applications in the fields of Big Data, process mining, and the Internet of Things (IoT). To help companies, like sugar producer Suiker Unie, increase their production yield and lower costs, Next View created a solution based on SAP HANA and SAP Cloud Platform to facilitate field operations, empower the use of IoT in the harvesting process, and provide data-driven breed and cultivation advice. In addition, select participants have also been recognized for their innovative leadership with Special Awards including 2 Industry Disrupter winners, 6 Regional Choice Award winners and 25 Honourable Mentions. Watch for more details on SAP HANA 2 at #SAPPHIRENOW or visit hana.sap.com to learn more today. Follow our winners as they are featured at #SAPPHIRENOW and join the #innovationstory conversation on Twitter to know more as their journey continues. 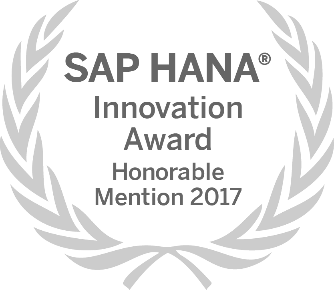 If you’ve got your own #innovationstory to share, stay tuned for the 2018 HANA Innovation Awards and your chance to win. 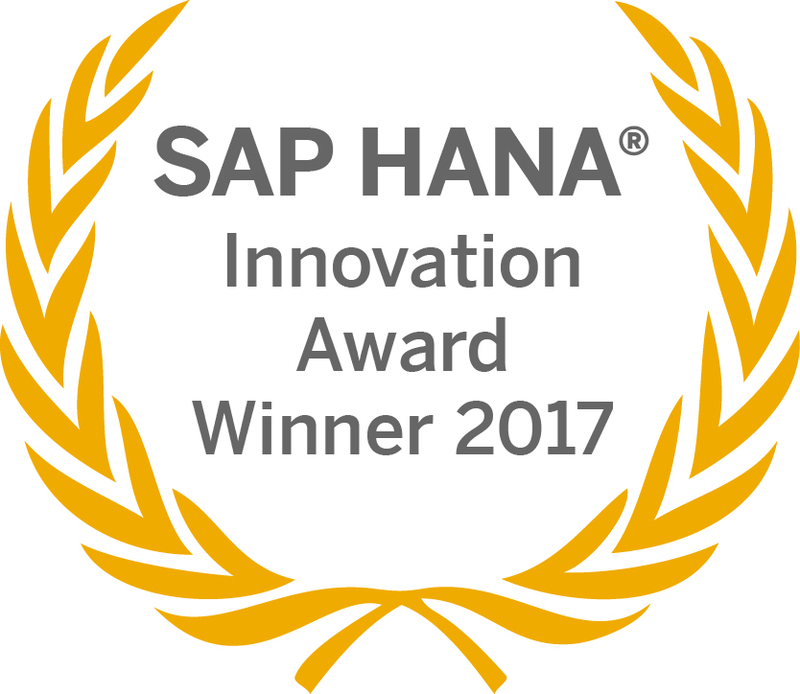 To view the full details of this year’s HANA Innovation Award winners including Special Award winners visit our website.